Property and construction advisory firm Jones Melling has landed a series of new project wins across the North West. 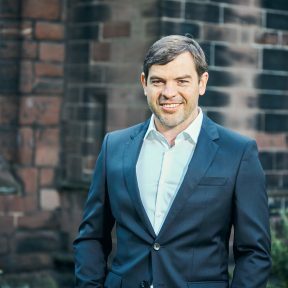 The Chester-based firm has been instructed by Special Needs Care Ltd to undertake quantity surveying work for a £4m refurbishment project in Abbey Square within the grounds of Chester Cathedral. The project will see Special Needs Care expand its current premises within the Grade-2-listed Georgian square to provide specialist boarding accommodation and supported living for people with learning disabilities and autism. The firm has also been appointed by care specialist Fairhome Group plc to act as employer’s agent on 13 new projects across the country, including two new care schemes in Wallasey, Merseyside. Ken Jones, director of Jones Melling, said: “We’ve had a tremendous start to 2019 with plenty of new instructions coming through for projects across England and Wales. What’s particularly pleasing is we’re being instructed on a wide variety of jobs.